Being a competitive athlete takes hard work, discipline and dedication. You must learn to endure pain, persist when your body says to stop, and make sacrifices to enjoy the glory of success. 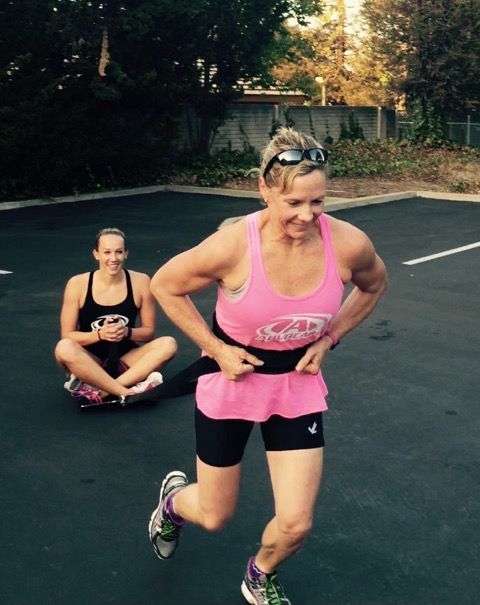 My name is Allison Hunt and I am a 52 year old international competitor in both swimming and rowing. I have been using Crossfit for the past 4 years to supplement my strength and fitness for my competitive sports, and I am excited to share that 2016 is my first Crossfit open. Being a master competitor takes not only training and great coaching, but carefully timed nutrition and supplementation. My journey with Advocare began 8 years ago when I was looking for a way to recover from grueling 2.5 hour swim workouts while training for masters nationals. An Olympic coach introduced me to Advocare in 2009 and I haven’t looked back. In the 8 years I have been taking Advocare products I have not missed a workout because of illness. Because I remain healthy, I can train more consistently, recover more efficiently, and see results in a timely manner. In 2014, from January until early May, I was focused on training for swimming at Masters Nationals, and ended up getting 4 top ten medals at the meet. The following weekend I jumped in a rowing boat and went to multiple sprint rowing races within the the next few months. Without a break, I then rolled into training for the next few months to compete in the Head of the Charles Rowing Regatta in Boston at the beginning of October. Advocare hasn't only helped my training, it has helped my overall health. In 2015, as a 51 year old woman, I took my body fat from 22.6% to 12.6% and lost 22 pounds. Last fall I had my best 5K on the rower thanks to the outstanding programming of our own Coach Chris and the encouragement of our great community at Crossfit Almaden. Advocare has over 80 products ranging from Sports Performance, Wellness, daily energy, and Weight Management. I would love to tell you more and help you make the most out of your workouts and be the healthiest athlete you can be.